From Israel advocacy through our Jewish Community Relations Council to missions, Federation has always sought to deepen its relationship with Israel. One mechanism is Partnership 2Gether, which twins New Orleans with a sister city near Tel Aviv, Rosh Ha'ayin. Through shared programming, we're creating the person-to-person relationships so vital to ensuring a bright Jewish future not only in Israel, but throughout the Diaspora. 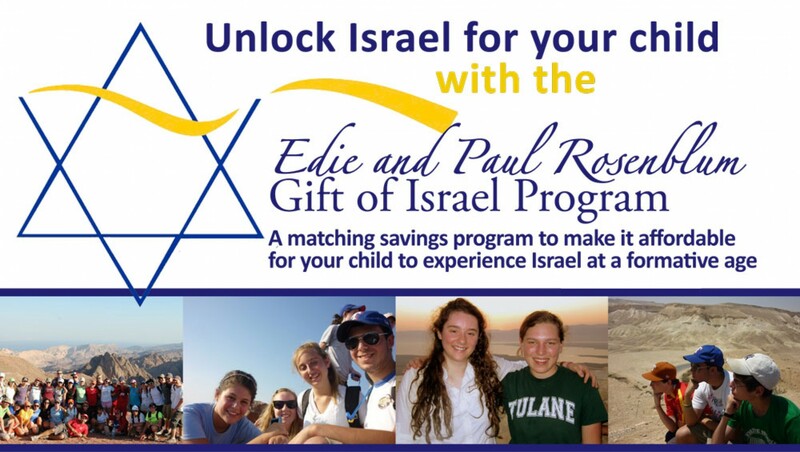 The Edie and Paul Rosenblum Gift of Israel also offers an affordable opportunity for parents to partner with their synagogue and Federation to create a matched savings account for their children to experience Israel during their formative teen years. Save the date for the Greater New Orleans Jewish community's mega-mission to Israel, to be held June 5-12, 2017. Participants will be able to choose from four exciting tracks: Family, Art/Architecture/Music, Medical/High-Tech, and Hiking/Biking/Sailing. To learn more, please contact Sherri Tarr at sherritarr@jewishnola.com. The Jewish Agency for Israel’s Partnership2Gether platform has become the paradigm for partnering diasporic Jewish communities directly with Israel. An extraordinary global platform connecting some 550 communities around the world in 45 partnerships, P2G is building bridges between these communities and mutually empowering them by sharing unique ideas, strengths, and models of success. The impact of these projects goes far beyond the community level—each of us has the opportunity to become directly and personally involved. When it was established in 1994 by the Jewish Agency, United Jewish Communities, and Keren Hayesod-United Israel Appeal, Partnership 2000 represented a major transition from the Project Renewal-twinning model, which focused on transforming disadvantaged communities through the building of physical and social infrastructure. A local endeavor with national impact, each P2G partnership provides the opportunity for interpersonal relationships to flourish and communities to connect. Through a shared committee process of the partnered communities, every year more than 10,000 volunteers work together to examine issues and responses, to determine projects and budgets. The principal areas of involvement within the individual partnership regions are effecting change in education and fostering economic development. One of the most exciting and far-reaching aspects of P2G is the mutuality of impact. Volunteers from abroad come to Israel to be involved in this process and return to strengthen their own communities. Today, we are innovating to align P2G with evolving changes in Israeli society. Click here to learn more about P2G. An immersive, four-week long group trip to Israel creates a more lasting impact at a formative age. 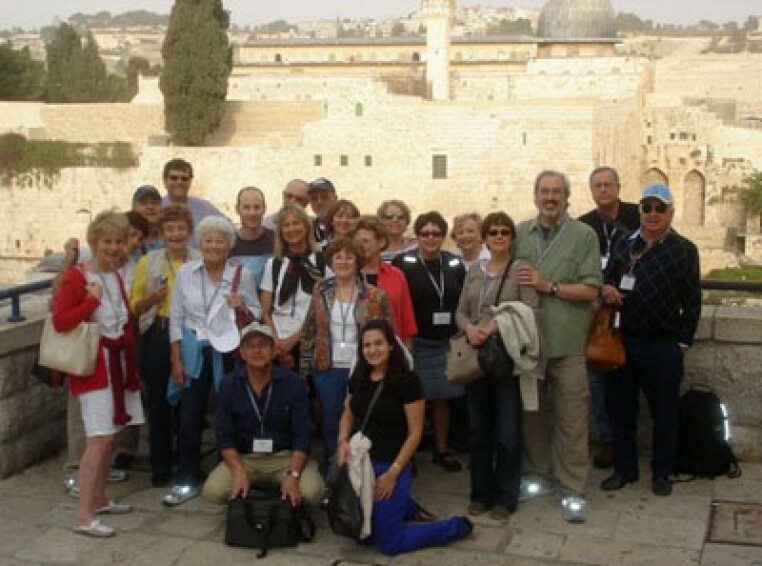 With the Edie and Paul Rosenblum Gift of Israel Program, you won’t be alone in saving for such an opportunity—your synagogue and the Jewish Federation of Greater New Orleans will be contributing matching funds to make it more affordable for trip participants.